I finally got to try out the legendary Tracy Anderson method thanks to Racked LA’s #rackedfitclub. The class I took was a condensed version of two of their 50-minute popular classes – the AtTAin Definition and CaTApult Cardio, with two of TA’s lead trainers Maria and Stacey. The MultiTAsk class was 25 minutes of each. The movements used in the AtTain Definition portion were definitely very unique and unlike any other class I’ve taken. We used a combination of hand weights and different ankle weights, and even towels to perform each movement. It was fast-paced and challenging. The second half of class was even harder. 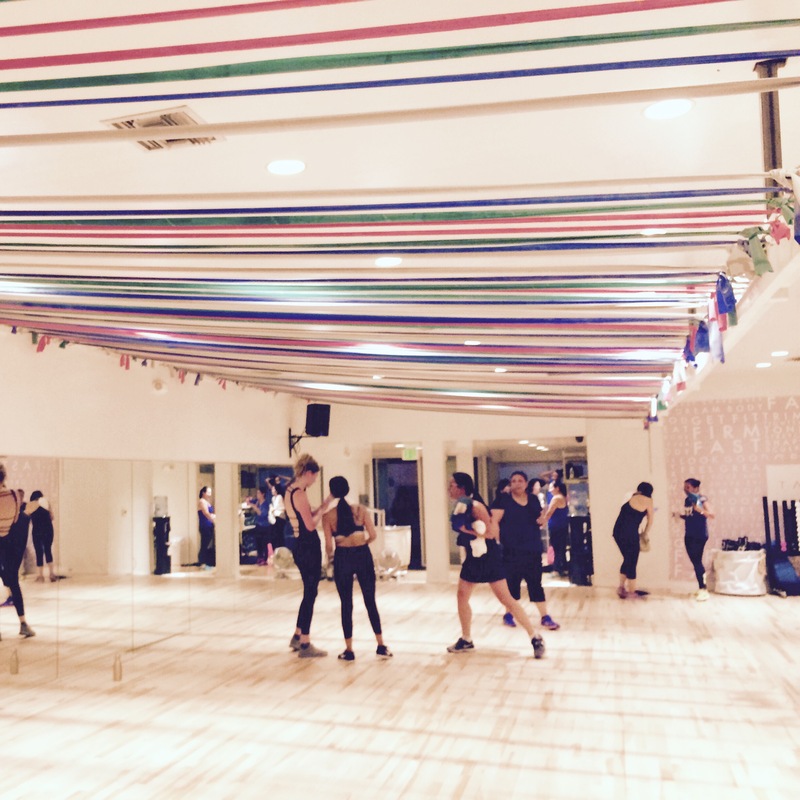 It was non-stop 25 minutes of cardio dance in a heated studio. Because Tracy Anderson believes that muscles work better when warm, the studio likes to keep their air conditioning off. (I think I actually saw a space heater in the corner of the room). You can imagine how hot it became in a tiny space with about 40 people dancing and jumping non-stop. I felt like I was going to collapse, but also highly accomplished afterwards. We were also treated to complimentary recovery smoothies post class as part of Racked Fit Club. I’d like to take more classes to see what results come from training with one of the “best” studios around. However, classes are SUPER expensive. A membership costs $1500 initiation with $900 monthly, and a 10 class pass is normally $425 and each class is $45. Unless I miraculously fall into some money in the near future, I think I’ll stick with my ClassPass membership and go see Miss JJ Dancer, who’s workout is comparable.